Canada will score an enviable North American first when the stunning Norton Dominator SS motorcycle, featured in the latest James Bond movie "Spectre", makes its North American debut this week at College Park in Toronto. To view this fabulous motorcycle at close quarters, please visit the Norton Canada display on the 1st floor at "UK House" - the pop-up site at College Park shopping mall, corner of Yonge and College Streets in downtown Toronto. The Dominator's North American unveiling forms part of UK Trade & Investment's* "12 Days of Great" promotion, which will take place at College Park until November 9. Norton Motorcycles (UK) Ltd. announced today that it has completed the purchase of historic Donington Hall, which will serve as its new corporate headquarters and manufacturing facilities. Situated on 26 acres of classic English countryside and located within the Donington Park Grand Prix Circuit race complex, the new head office and production facilities are situated less than a mile from Norton’s current manufacturing plant. The company will first transition its corporate and engineering staff to the new location, and then subsequently prepare for transfer of its manufacturing to the site. Steeped in British history, the main building Donington Hall was constructed in a Gothic Revival style in 1790. While the original 40,000 ft2 Donington Hall and its grand entry greet with remarkable architectural style, the building’s interior features modern office and meeting facilities. As recently as 2012, the site has served as world headquarters for British Midlands Airways, and benefits from a fresh, complete renovation and modernisation. Located within the same grounds to the rear of Donington Hall is an additional 45,000 ft2 of a newly constructed building complex, known as Hastings Hall which will serve as Norton’s production facilities. Garner concluded by saying “Where else in the world can one tour an 18th century Gothic Revival mansion, view a Norton Motorcycle being built, watch a World Superbike race and attend an Iron Maiden concert all in the same place? Norton Motorcycles (Canada) Ltd is pleased to announce Government approval of SE, SF and Café Racer 961 Norton Commando models for Canada. We would like to acknowledge the combined efforts of Norton UK’s engineering staff and representatives from the Canadian Moped and Motorcycle Industry Council, Harrison Wolf Consulting Inc.(USA) and various suppliers whose contribution, in conjunction with the Canadian Ministry of the Environment and Transport Canada, have enabled us to reach our goal. Models available in Canada comprise of the limited edition SE, the SF and Café Racer models. All Canadian specification bikes will have Norton’s highest specification USD Ohlin forks, radial Brembo brakes and carbon fibre trim. The SF and Café Racer models will be available in single or dual seat versions and for Canada only, the SF versions have the option of blacked out or chrome exhaust and black or polished rims as a no cost option. Similarly on the Café Racer, black or polished rims will be a no cost option. As production capacity in the UK increases to meet export targets, these beautiful, hand built Nortons’ will remain in short supply as rigorous quality standards and British content levels are adhered to. Prospective customers are urged to reserve the bike of their choice with their Canadian dealer as their specific bike will be built to order. Your Norton Canada team would like to extend it appreciation to all those loyal customers who have been patiently waiting for their motorcycles, in some cases since 2010. Deliveries will commence this Spring. 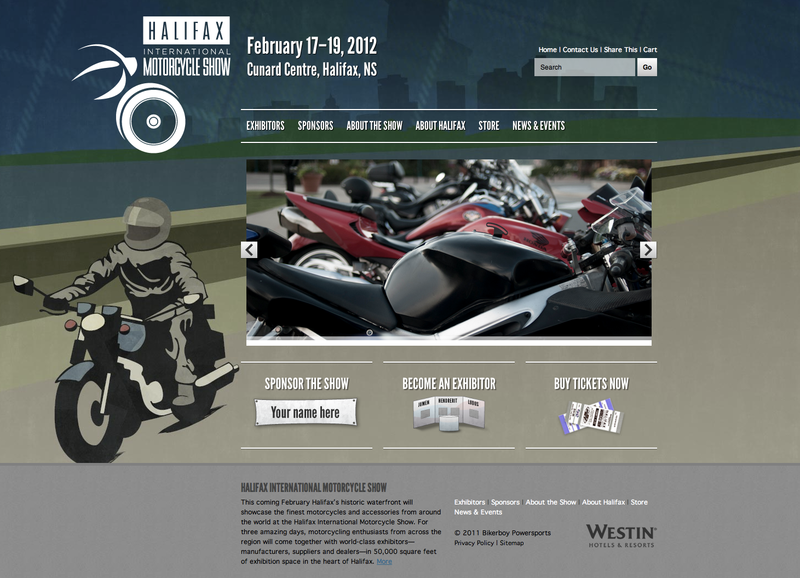 The Halifax International Motorcycle Show is kicking-off their inaugural gathering of motorcycle enthusiasts at the Cunard Centre on February 17-19, 2012. Industry leading motorcycle manufacturers and accessory products will be on site and under one big roof.Major manufacturers and dealer representatives will be there to answer your questions and provide you with an opportunity to throw a leg over the latest machines or try on the latest gear. With 45,000 square foot of column free floor space the Cunard Centre sits on the scenic Halifax waterfront with big bright windows overlooking the harbour. The event and venue offer up a powerful mixture of salty sea air and visual stimulation. Anticipated attendance is expected to approach 20,000 and draw attendees from all the Atlantic provinces and beyond. With the top motorcycle manufacturer product lines represented this event is the first of its kind east of Quebec.The show has attracted a lot of industry attention and support in this first year. Kawasaki Canada chose the event as one of the few venues to bring their national tour. They will be showcasing the hottest 2012 models like the supersport ZX-14R, KX450F motocross, cruisers from their revered Vulcan ine-up, street/touring, dual-purpose, and off-road motorcycles. Event organizer Tim Leslie indicates,"Halifax is the gateway to Atlantic Canada, and its largest city. There's a vibrant and active motorcycle culture here, which makes Halifax the perfect location for a world-class motorcycle show. We're excited to be bringing the best the motorcycle world has to offer to downtown Halifax and already making plans for next year!" With motorcycles from all the top brands, this event will be the first, and only, opportunity to see many of these machines in Nova Scotia before they appear in dealerships in the spring.There's going to be some rare models too that you might not otherwise get a chance to see at all except in the pages of a magazine. Motorcycles like the limited production Norton Commando 961. With production of this bike limited to 200 models they're sure to be very rare. Zero Motorcycles is sending some of the first production 2012 electric motorcycles in Canada to Halifax to be displayed at the show. Aside from all the special interest motorcycles, enthusiasts of every level will find something to surprise and delight from new 2012 models and the latest in accessories to unique touring destinations. Cruisers, sport bikes, off-road, trials, touring, sport/adventure touring, even 2WD sidecar motorcycles - there's going to be something for everybody. Whether you are a seasoned veteran motorcyclist or just somebody with a passing interest there will be something to excite you at the Halifax International Motorcycle Show. Free parking all weekend (Friday after 4PM). Vision Eleven Apparel have a pretty awesome contest running. They've got 10,000 Norton t-shirts made from what they say is very high quality cottons using a superior printing process. So, here's the deal. 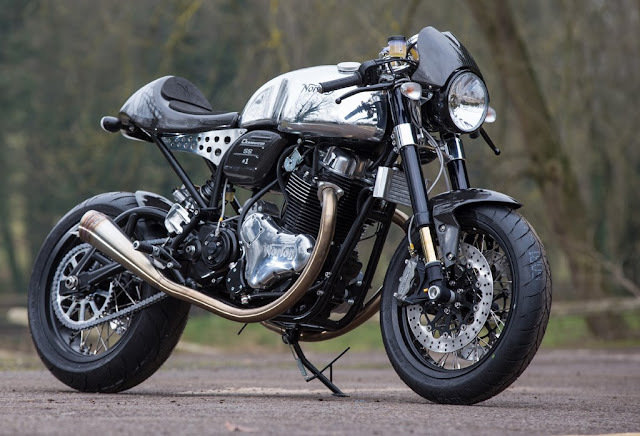 You buy a t-shirt from the Vision Eleven Apparel website and not only do you get a t-shirt but you get a one in approximately 10,000 chance to win yourself a Norton Commando 961 SE. It's one of only 200 made. It's number 190 in fact. It's valued at approximately $25,000. Check out their YouTube Channel to learn more about the shirts and the Norton Commando that could be yours if you buy one. Think of it as a lotto ticket except you're guaranteed to at least get a shirt out of the deal!